In February, we completed the acquisition of First Utility, a leading independent UK household energy and broadband provider. In March, we completed the acquisition of a 43.8% interest in Silicon Ranch Corporation, a developer, owner and operator of solar energy assets in the USA. In July, with our partners, we completed the dilution of interests in LNG Canada to Petronas. As a result, our interest in LNG Canada was reduced from 50% to 40%. 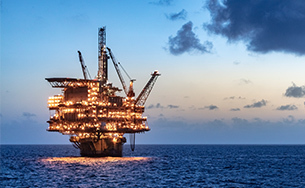 In August, we acquired ENI’s interest in the North Coast Marine Area (NCMA) block offshore Trinidad and Tobago, increasing our interest from 63.2% to 80.5%. In December, we acquired Total’s 26% interest in the Hazira LNG and Port venture, increasing our interest from 74% to 100%. In December, we formed 50/50 joint ventures with EDF Renewables and EDP Renewables to build wind farms off the coast of New Jersey and Massachusetts, respectively, in the USA. In June, the final investment decision was taken on the Borssele III and IV offshore wind farm projects in the Netherlands (Shell interest 20%). In October, the final investment decision was taken on LNG Canada (Shell interest 40%). Construction has started and first LNG is expected before the middle of the next decade. In December, wells were opened at the Prelude floating liquefied natural gas (FLNG) facility in Australia (Shell interest 67.5%) and gas and condensate are produced and moved through the facility. Once this has concluded, the facility will be stabilised for reliable production of LNG and LPG. In Greece, we sold our 49% interests in Attiki Gas Supply Company S.A. and Attiki Natural Gas Distribution Company S.A. In India, we reduced our interest in Mahanagar Gas Limited from 32.5% to 10%. In Malaysia, we sold our 15% interest in Malaysia LNG Tiga Sdn Bhd to the Sarawak State Financial Secretary. 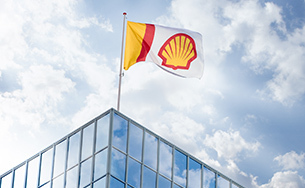 In New Zealand, we sold our shares in Shell entities to OMV. In Thailand, we sold our 22.2% interest in the offshore Bongkot field and adjoining acreage to PTT Exploration & Production Public Company Limited. 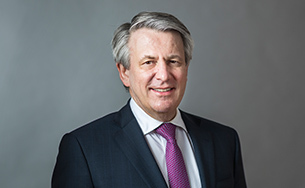 In November 2018, we agreed to sell our interest in the undeveloped Sunrise gas field in the Timor Sea (Shell interest 26.6%) to the government of Timor-Leste. The transaction is pending regulatory approval and expected to close in the first half of 2019. Excludes employees seconded to Joint Ventures and Associates. As revised, to align with the current year definition.